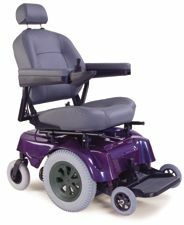 From the leader in powered mobility auto lifts comes a world-class series of portable ramps designed for ease of use at home or while traveling. 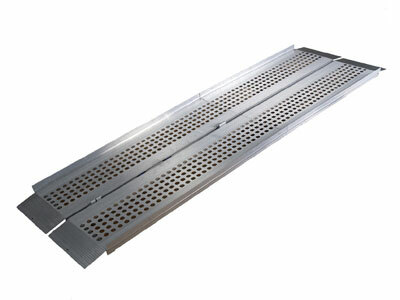 These commercial quality ramps are built to access vehicles, landings and other unkind elevation changes. 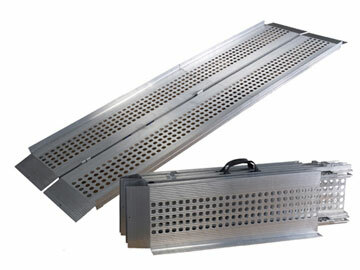 The Multi-fold Series ramps are easily moved in one or two lightweight components due to their revolutionary patent pending design. 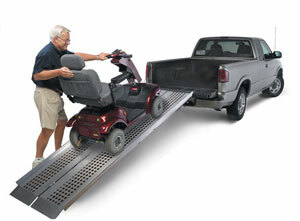 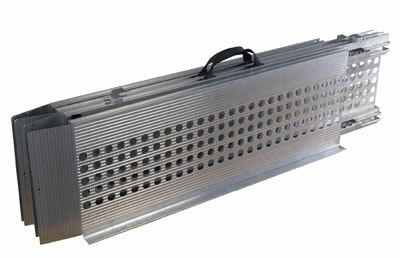 When not in use, the ramps fold three times into a compact unit, making carrying and storage a breeze.